Our Santa Clara drain cleaning professionals have been providing top of the line drain cleaning and plumbing services to home and business owners in the area for years. We always come highly recommended, and with us your satisfaction is always guaranteed. So if you think your home or business would benefit from our affordable, reliable and professional Santa Clara drain cleaning service, then just pick up your phone and give us a call today. 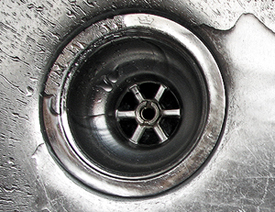 Why Do You Need A Drain Cleaning In Santa Clara? The drains are parts of the home that are often neglected. Most people do not think that they need a Santa Clara drain cleaning company until their drain is clogged. However, a Santa Clara drain cleaning can prevent a clog from occurring in the first. That is why you should call our Cupertino and/or Santa Clara drain cleaners at least once a year. You will be able to prevent foul odors from accumulating in your pipes by getting a Santa Clara drain cleaning. Foul odors are often caused by the buildup of mold and bacteria. Mold can easily accumulate in drains because they are damp. Keep in mind that this mold and bacteria in your drains can cause health problems. You can also prevent leaks by getting a drain cleaning in Santa Clara. Chemical deposits have a tendency to build up in your drains over time. This can cause your pipes to corrode. Once the pipes corrode, they can start to leak. Slow drainage is more than just a nuisance. It is also a sign that there is a clog in the drain. Santa Clara drain cleaners can help promote faster drainage. Additionally, a rooter service in Santa Clara can prevent damage to your home. There are a number of unpleasant plumbing problems that can result if you do not get a drain cleaning. Your toilets can backflow, which can cause serious damage to your home. Your home may also suffer water damage if the pipes leak. We can help you if you need a rooter service in Santa Clara. We are a company that is not only focused on correcting plumbing problems, but we also strive to prevent them from occurring in the first place. The customer is able to save time, money and frustration when plumbing problems are prevented. We will inspect your drains when we come to your home. After that, we will start cleaning the drains. We believe that cleaning your drains is one of the best things that you can do to protect them. We know that our professional Santa Clara drain cleaning service will make things a lot easier for our customers.